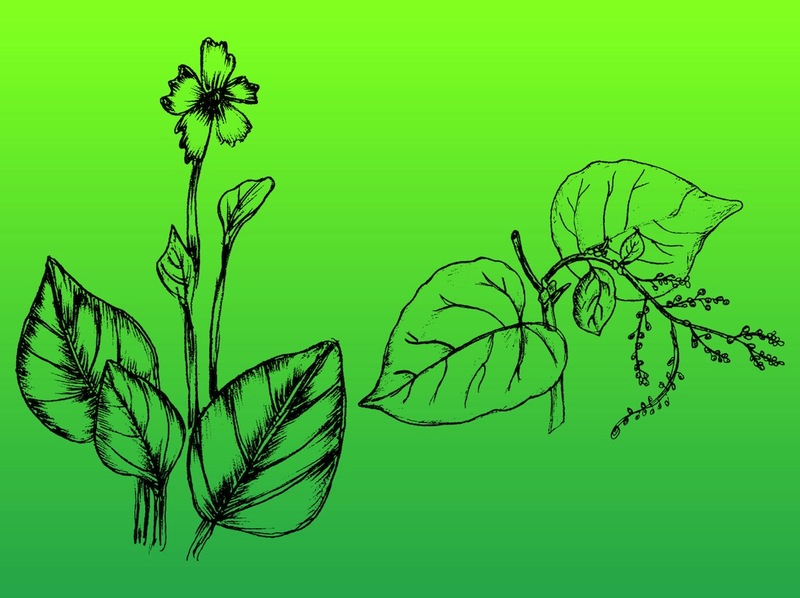 Sketchy vector plants images. Black hand-drawn visuals of flowers and some leaves. Visible details on both images, simple visual style. Free vector plant sketches for all nature, spring, forest, garden, field, flower, tree, leaves design themes. Sketchy black botanical illustrations.